There’s one undisputed worst Chris, which by default makes Chris Hemsworth one of the best. That is a fact readily apparent even to teeny tiny marsupials. 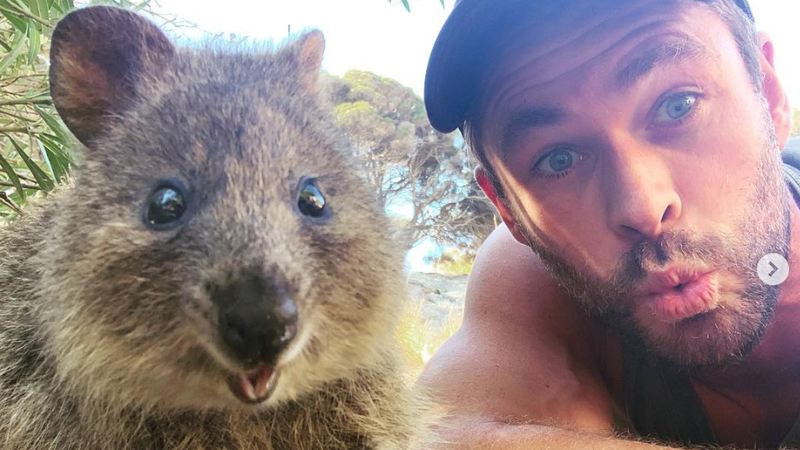 Hemsworth recently vacationed on Rottnest Island, where he befriended the local fauna by offering the very snacks from his mouth. An adorable Quokka took him up on the offer and a tabloid-ready celebrity friendship was born. The Quokka is a macropod in the kangaroo and wallaby family that is the size of a housecat. According to a casual internet search, the quokka’s hobbies include promiscuity and eating instead of drinking water, making it the marsupial whose values most closely align with my own. Though Hemsworth and the Quokka were caught kissing on video, reps for both insist the pair are just close friends. How was your week? But was it “make out with a mini marsupial who ate vegetation from your mouth” good?